I’m pulling the plug on the soundtrack. Time for something new. Does Nabisco have some kind of secret deal with crossword writers that says that Oreo-related clues must appear in like 75% of all puzzles?! I finally finished reading Mark Yarm’s Everybody Loves Our Town. The story in a nutshell: punk and metal fans in Washington state formed a bunch of bands and a few record labels. They made some good music. Word started getting out. Everyone started doing a ton of heroin. Nevermind reached #1 on the Billboard charts. Lots of money was thrown around. The scene imploded. Then people moved on to the next thing. Overall a good read, except for all the parts about Candlebox. Tonight, we’re sitting in Logan airport waiting for our flight home. In the span of a month, I’ll have been to the southwest, the midwest, the northeast, and the southeastern United States. Not that I didn’t love just about every minute of it, but after next weekend, I’m looking forward to planting my feet at home base for a few consecutive weeks. I don’t know how some people do this all the time. 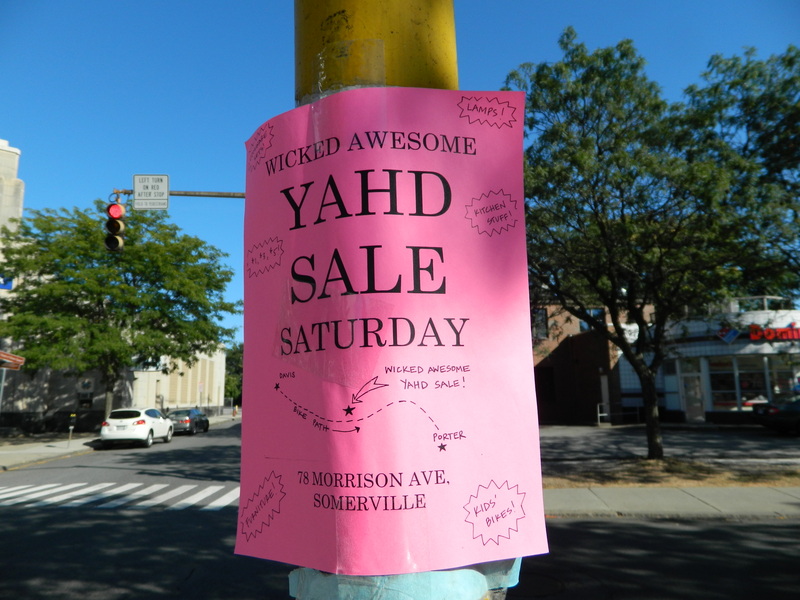 The weekend, like this yahd sale, was wicked awesome. 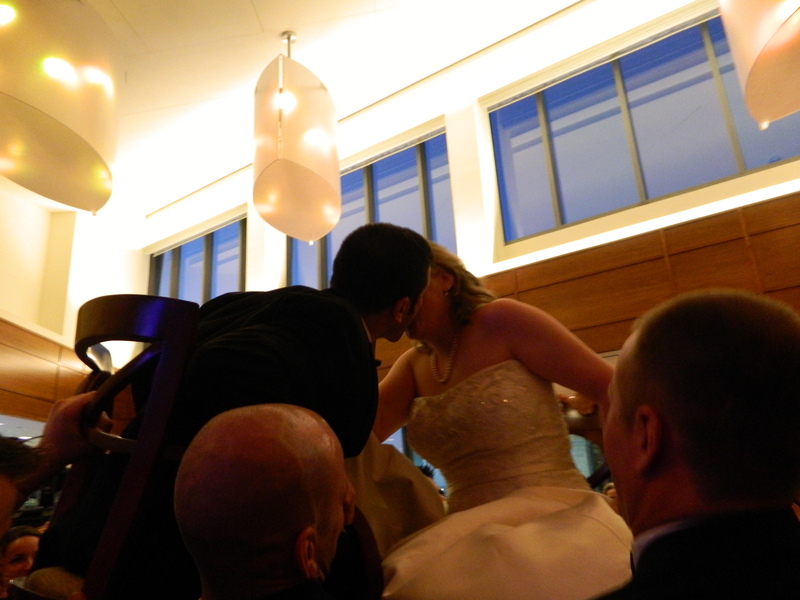 Caroline and Asaf got married today! I’m sitting in a hotel room in Boston tonight watching Back to the Future II with Phil. I love old movies’ visions of the future. All those great technological wonders. Especially in this movie, because Zemeckis and company seemed to have worked it out that we’d have ALL the conveniences. Right down to hydratable take-out pizza and power shoe laces. I’m not so sure about the whole flying cars thing. Can you imagine what the safety features would be on something like that? Maybe one giant airbag that engulfs the whole vehicle on impact. Can you imagine what the road testwould would be like? The instructor would be going through the preliminary checks and ask the driver to check his side, rear, top, and bottom mirrors. I’d never be able to adjust to all of that as quickly as Marty did in Back to the Future II. While he was in a hoover chase with Griff and the gang just minutes after being transported into this strange new universe, I was still struggling with how he was going to get that bottle of Pepsi open that he ordered at the Cafe 80’s. UPROXX posted another marathon of 5 Second Films. This time with Patton Oswalt and Juliette Lewis guest star this time in what are literally blink-and-you-miss them parts. I still prefer the first round of Top 20 picks. Watch it now. Seriously, it’ll take like less than 5 minutes to watch both unless your Internet is just embarrassingly slow. In which case, you probably won’t be able to offer a sound explanation as to why people would willingly walk into a baby shower. How could you?! !